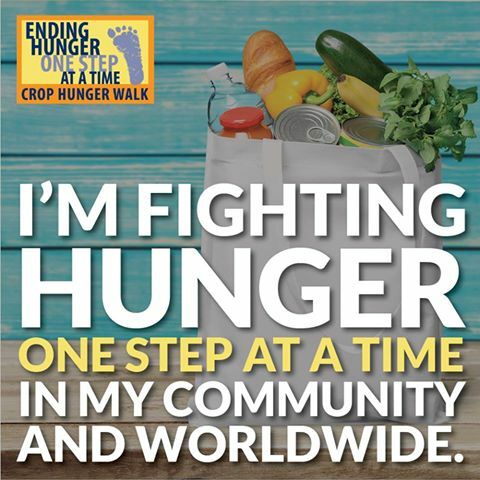 Join hosting church Clear Lake Presbyterian for the 2018 CROP Bay Area Hunger Walk! 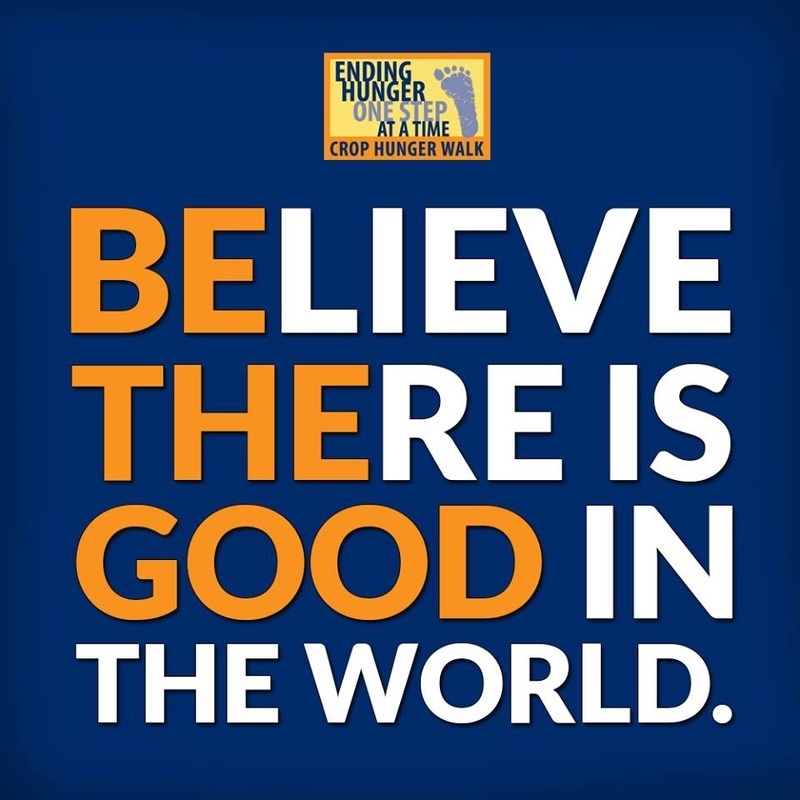 Volunteer your time or form a team, and help our neighbors in need fight hunger. Proceeds from the walk will benefit Interfaith Caring Ministries, Lighthouse Christian Ministries and M.I. Lewis. Stroller and dog friendly event! Light snacks provided following event. Find an appropriate place to walk to, of some distance, so that the children can experience the CROP Walk theme, "We Walk because they Walk." Give each child a gallon milk jug, or something appropriate, to carry on their walk so that each child may fill it with clean water for the family's daily water source. Our campers at Camp Mimanagish go on a 2 mile hike on the road to a safe picnic spot along the Boulder River. If the river conditions are safe and the water temperature tolerable, we wade in the river then enjoy a picnic lunch. After filling the gallon water jugs, campers and counselors hike back down the road to camp and enjoy a quiet evening of camp fire, worship and reflection on the lessons experienced. The campers carry the empty jug up stream, and the full jug downhill back to camp. They actually do not complain much. The filled jugs weight about 8 lbs., and campers find ways to share the task. Of course campers are forbidden to drink the river water (unlike real life refugees). As an aside, the campers could experience trying to carry bigger containers of water on their heads.Find an appropriate place to walk to, of some distance, so that the children can experience the CROP Walk theme, "We Walk because they Walk." Give each child a gallon milk jug, or something appropriate, to carry on their walk so that each child may fill it with clean water for the family's daily water source. Our campers at Camp Mimanagish go on a 2 mile hike on the road to a safe picnic spot along the Boulder River. If the river conditions are safe and the water temperature tolerable, we wade in the river then enjoy a picnic lunch. After filling the gallon water jugs, campers and counselors hike back down the road to camp and enjoy a quiet evening of camp fire, worship and reflection on the lessons experienced. The campers carry the empty jug up stream, and the full jug downhill back to camp. They actually do not complain much. The filled jugs weight about 8 lbs., and campers find ways to share the task. Of course campers are forbidden to drink the river water (unlike real life refugees). As an aside, the campers could experience trying to carry bigger containers of water on their heads. A simple poverty meal could also be shared at this meal, or another day, made up of beans and rice, scant rice soup, etc. It would also be appropriate to choose activities from the CWS booklet, Making Poverty History: Hunger Educational Activities that Work! These activities can turn out ot be very worthwhile as learning tools for different age groups. Many excellent activities could be used at another time, from this outstanding resource, to help children grasp the Millennium Development Goals intended by the year 2015 to: 1) Eradicate extreme hunger and poverty, 2) Achieve universal primary education, 3) Promote gender equality and empower women, 4) reduce child mortality, 5) Improve maternal health, 6) Combat HIv/AIDS, Malaria and other Diseases, 7) ensure environmental sustainability, 8) Develop a Global Partnership for development. In this compelling scripture, Jesus includes even those we do not know as those with whom we must share our food, our water, and our welcome. He does not distinguish between the “deserving’ or undeserving” poor, nor does he make a distinction between those who live close to us and those who may live in other places. He calls all his followers to share what we have and to work towards a time when all people have enough food and water for their needs. In 2011, the General Synod of the UCC passed a Resolution for Mindful and Healthy Eating, challenging our members and congregations to explore and discuss how food choices can accord with Christian values and beliefs. This reverse CROP Walk is a different type of CROP Walk. The campers do not know about this ahead of time, becuase they walk as refugees. The usual style of CROP Walk is out of generosity with the intent of raising funds to share for CWS projects around the world. Instead, Nancy offers this walk with the intention of honoring each child's experience with a simple donation of one dollar per child to be sent to Church World Service for clean water projects. Following our evening picnic walk, I announce to the campers that I have placed a one dollar representing each camper's efforts to carry water into an offering fund as a CROP Walk donation. The rest of the week the campers are encouraged to save some of their spending money from their bank account held in the camp store for snacks and miscellaneous items. We collect the offering on the final day and the students are usually suprisingly generous. Hopefully, campers will consider walking in local community CROP Walk activities in the future. Materials and information are available online with CWS.